One step towards going “Full-Snowden” is with hardware storage of your PGP secret keys! 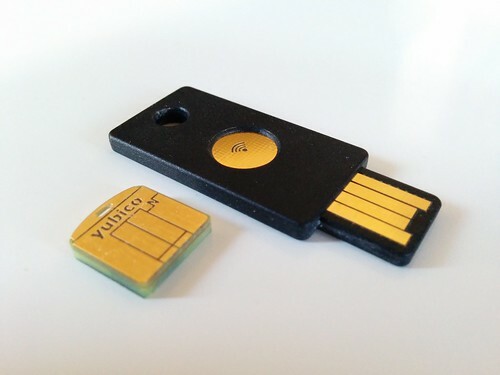 The Yubikey Neo and Neo-N USB tokens are a neat (and not too expensive) way to keep the secret part of your RSA2048 keys locked in a hardware device rather than stored as a file on your harddrive. The hardware tokens are compatible with the OpenPGP card protocol, which recent versions of gnupg support out-of-the-box. All of the public-key cryptography happens inside the tamper-proof device, so your secret key is never decrypted in the memory nor stored on disk of your machine. Since setting up the key pairs and transferring the secret ones to the device can be tricky the first time, I wrote a brief guide to configuring Yubikeys as OpenPGP crypto-hardware tokens. They integrate nicely with Apple’s Mail.app (or mutt with gpg-agent), so there is one less excuse for not protecting your email.